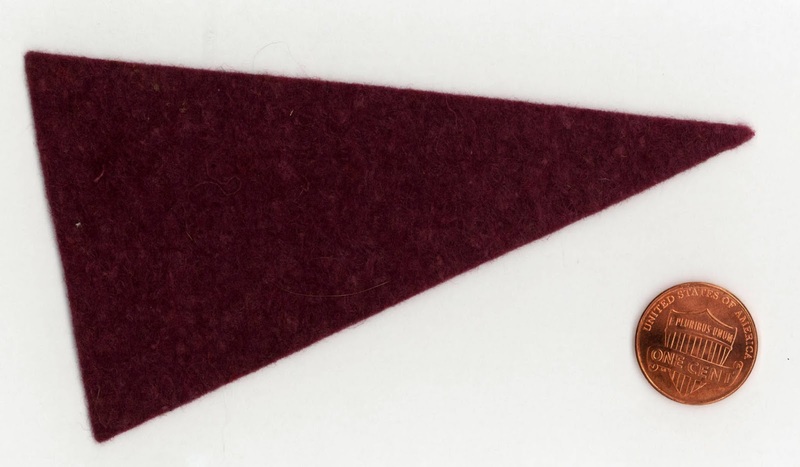 This felt pennant is one of the highlights of my collection. Although small in size—measuring just 4¼ by 2½ inches—it features a fantastic graphic and dynamic type treatment. The pennant is made of soft burgundy felt with the design in cream-colored paint. I love how the name "Brewers" ripples like a flag in the breeze. That's appropriate, as it dates to 1936 or 1937, right about when the Brewers were . The batter is very cool, leaping out of the box as he finishes his swing. 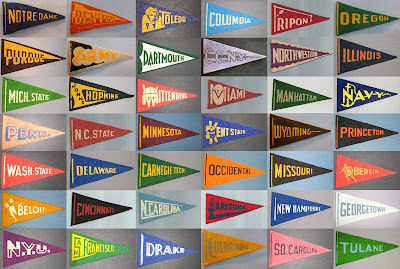 These pennants aren't particularly rare; every American Association Brewer collector I know has one. 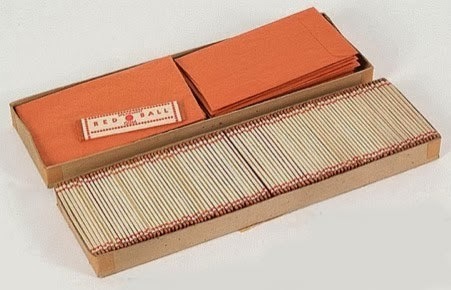 But the history of this item is very interesting. This beauty wasn't sold at Borchert Field's concession stands. In fact, it wasn't available through the Brewers at all. It was manufactured for the Red Ball Sales Company, and packed with sticks of gum. Red Ball, based out of Chicago, came on to the national scene around 1936. 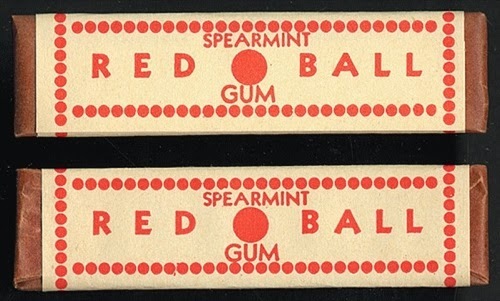 The gum was sold by the stick, one penny each, out of boxes of one hundred. 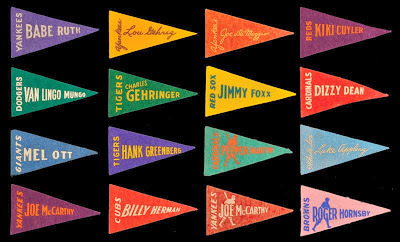 The pennants themselves were gorgeous, and featured an incredible variety. As you might expect, the major leagues were well represented. 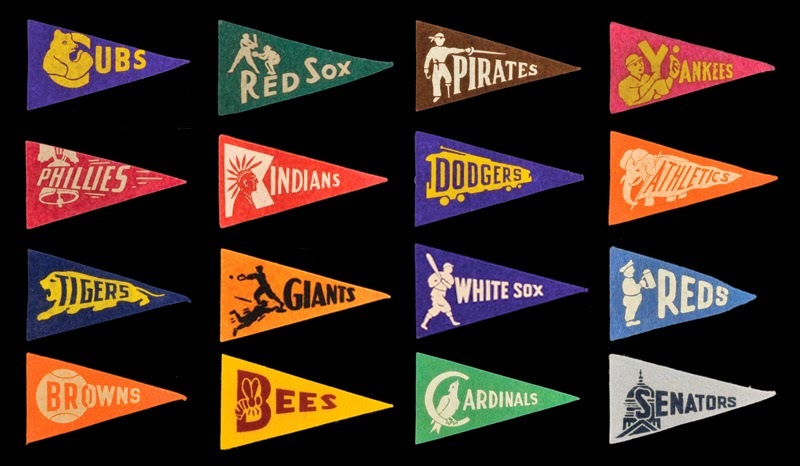 There were several variations for each of the big league clubs, some with stock graphics and some team-specific. 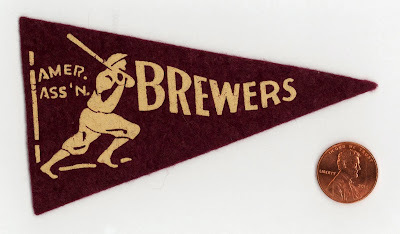 There doesn't seem to have been much importance placed on matching team colors, which is why our Brewers were given a burgundy-colored banner. The Brews may or may not have worn maroon in their early years, but by 1936 they were firmly established as a blue-with-red team. 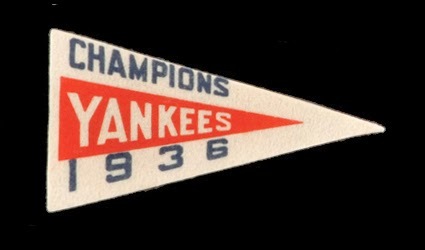 There was one team-specific variation; after the Yankees won the 1936 World Series, a special pennant was issued to celebrate the Bronx Bombers' fifth title. 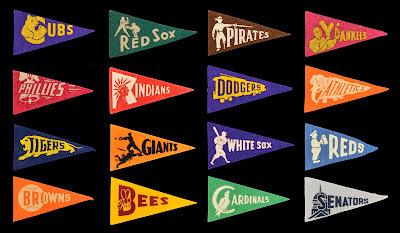 At the time, though, the majors consisted of sixteen teams in just ten cities. 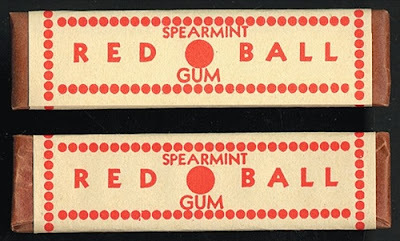 The rest of the country was represented by various levels of minor leagues, and as we can see those minor league clubs were included in Red Ball's promotion. 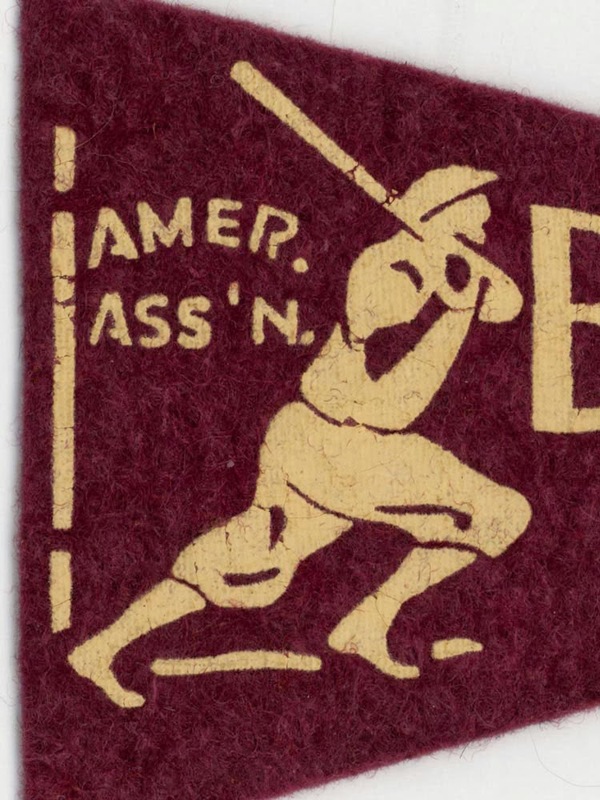 And not just the American Association, but teams from other large junior circuits such as the International League and Southern Association. 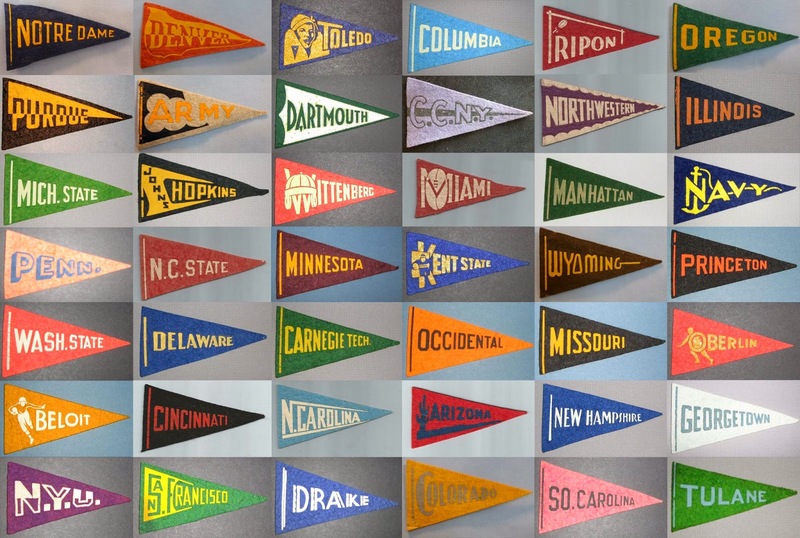 Red Ball also made pennants for a staggering number of colleges and universities - at least two hundred. 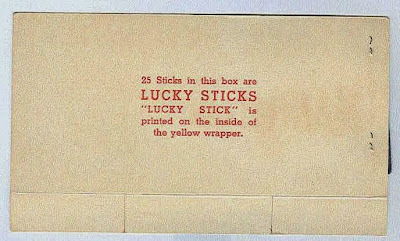 The variety is just astounding, and I'm not sure anything on that scale has been seen since. The party was unfortunately short-lived. 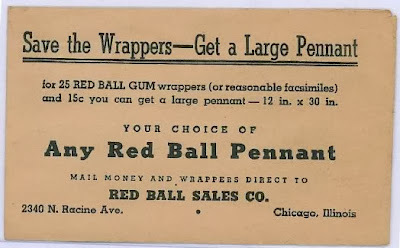 Sometime after 1938, just about two years after they burst on to the scene, Red Ball went out of business. That was a tough year for the American economy, still in the throes of the Great Depression. Unemployment, already 14.3% in 1937, jumped to a stunning 19.0% in 1938. In human terms, that meant nearly twelve million Americans were out of work in 1938, and industrial production dropped sharply to match. 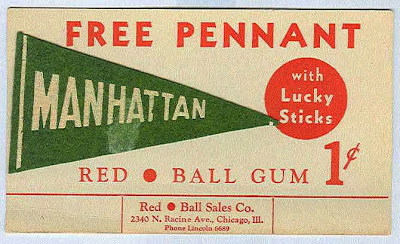 It appears that Red Ball was one of the many casualties of its era, leaving behind a legacy of hundreds of miniature felt pennants. 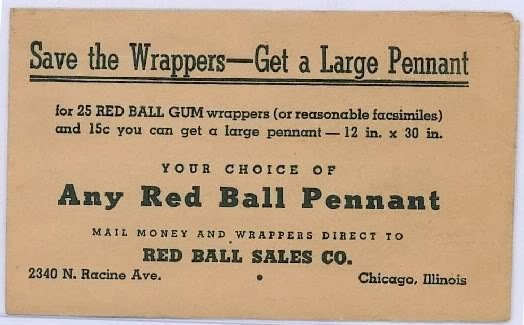 I have no idea what "reasonable facsimiles" would have referred to at the time, but send in twenty-five wrappers along with fifteen cents for a full-size version of a Red Ball pennant. Amazing. 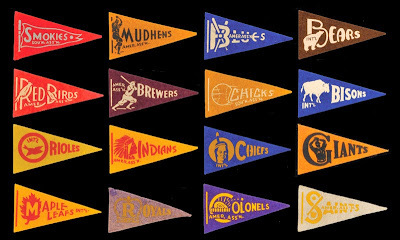 I've seen several major-league versions of these pennants, but I don't know for sure if the offerings ever extended to the minors and our Milwaukee Brewers. It's an amazing thought, that there might be a thirty-inch version of this beauty out there just waiting to be discovered.